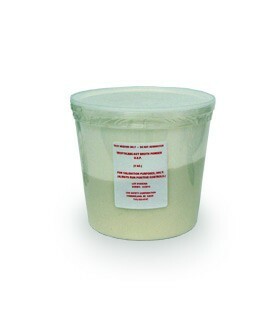 TSP-1 (1Kg./33.3 Liters) Container of Trypticase-Soy Powder, U.S.P. Tryptic Soy Broth is used for the cultivation of a wide variety of microorganisms. Tryptic Soy Broth conforms to Harmonized USP/EP/JP Requirements. Tryptic Soy Powder that is used to produce Tryptic Soy Broth, U.S.P., is a general purpose medium commonly referred to as Soybean-Casein Digest Medium, and abbreviated as TSB. This medium was originally developed for use without blood in determining the effectiveness of sulfonamides against pneumococci and other organisms. TSB is recommended for testing of aseptic-fill processes and clear end-products for bacterial contaminants, and complies with established standards in the food and drug industries. TSB was chosen by the USDA Animal and Plant Health Inspection Service for detecting viable bacteria in live vaccines. This product is used to produce non-sterile Tryp-Soy Broth, U.S.P. It may be used in accord with the requirements of USP<797> to validate the efficacy and performance of filtration, fill, and heat sterilization processes used to produce and sterilize USP<797> High-Risk CSPs. The non-sterilized media should be reconstituted fully and substituted for (i.e., used immediately in place of) drug product to load and fill drug containers in the exact manner of the intended drug product. Following completion of the process and incubation of the finished containers at 20-25 degrees C. for a period of two weeks, the presence of any visible contamination indicates a failure of the system to properly sterilize the validation test subjects. No growth present in the validation test subjects following incubation indicates the validity of the transfer, filtration, and/or heat sterilization process(es) to adequately sterilize the drug product. *Before using, please certain all handlers of this product are thoroughly familiar with the intended media-fill sterilization validation process(es) required by the U.S.P. This product is also available in 30Gm bottles. Check out TSP-2 for more details. 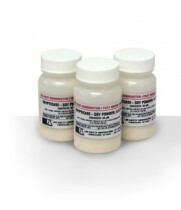 TSP-2 (30Gm./1 Liter) Container of Trypticase-Soy Powder, U.S.P.